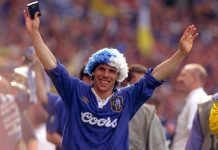 Gianfranco Zola is a footballer, not a ‘striker’ and it’s not enough to measure him simply in terms of goals, assists and international caps. I believe Zola, more than any other player, was responsible for Chelsea’s greatest trophy-winning era. The team, though technically better, stopped progressing under Gullitt before Zola arrived. Vialli hadn’t made an impact, though he didn’t complement Hughes. 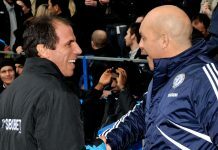 Most remember the immediate impact Zola made and the more effective partnership he formed with Hughes. That partnership under-scored but more goals came from the rest of the team, notably Petrescu, Di Matteo and Lebeouf initially; before Poyet and Flo arrived the next season – not to mention the odd goal from ‘The Rat’. Without a surprise or danger element passing football isn’t too productive and even after the arrival of Zola we still saw a tendency to overplay, mostly through the middle as Chelsea had no effective wingers. Zola truly was the catalyst. 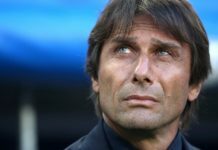 Until his arrival Chelsea were still too predictable and unthreatening. 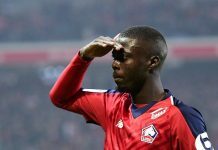 There was no one with real pace, no winger and no one with altogether the first touch, control, skill, quick feet, balance, sharpness, flair, awareness, quick-thinking, cunning, dribbling ability, passing ability, shooting ability and two-footedness to be of real concern to opposing defences. And no one as dangerous from 25 yards. Zola wasn’t a greyhound, a flying winger, a battering ram or a bone-crusher, but he was everything else. He wasn’t an Owen but he was quick off the mark, due to his alertness and remarkable fitness, aided by his healthy life-style. Despite his age he played all over the opponents half and was always looking for the best position to receive the ball, whether deep or wide and go or play into dangerous areas. After that memorable goal when his balance and control calmly took him past at least three defenders before slotting past a gob-smacked Schmeical, Ferguson said “He’s a better player than I thought. He’s a clever player and he knows how to hurt us”. A couple of seasons later Zola scored another memorable goal, at Old Traffford. Vialli’s team totally outplayed Ferguson’s but went behind in the second half. 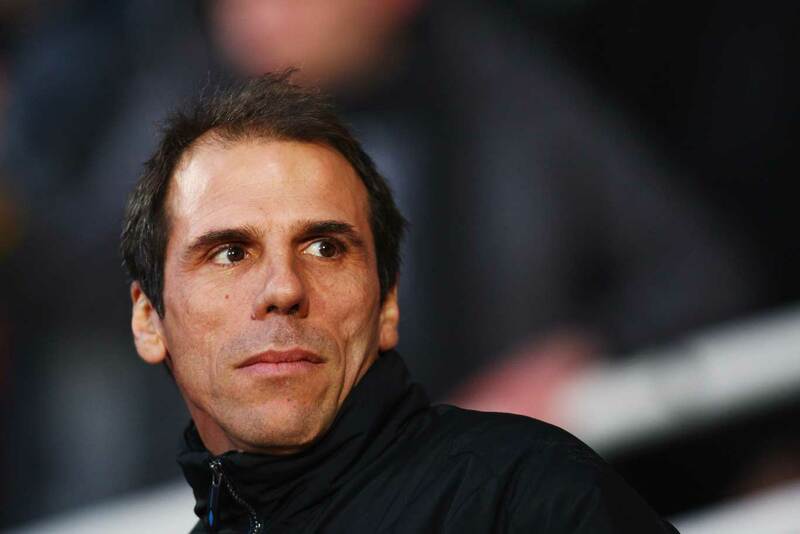 Around the eightieth minute, Zola made an incursion towards the right-hand corner of the penalty box and played a short one-two with Poyet, whose return was deftness defined. Zola took a touch, then a slighter one to set himself and placed a left-footed shot round Schmeical as he closed. Absolute quality goal for a most deserved equaliser. I was aware of Zola when he played for Parma, due to the coverage of Italian football after Gascoigne joined Lazio, though I only saw him in a few clips. I heard a lot about him. I was watching an Italy match during the ’94 World Cup or it was on, at any rate. Zola did something that astounded me. A ball had deflected quite high into the air and was dropping, spinning, in a near-vertical arc, midway in the opponents half . Zola was underneath it with his back to goal and opponents closing. He couldn’t have seen Casiraghi’s ‘blind side’ run as he watched the ball. He cushioned it, then quickly killed and set it while twisting his body to chip a diagonal ball over the defence for his partner to miss from several yards. It was a fabulous piece of skill by Zola, most efficiently executed and he seemed to have eyes in the back of his head. 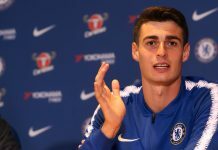 That always stuck in my mind and when I learnt he was coming to Chelsea I felt he would impress for sure, fitness permitting and I really looked forward to seeing exactly how he would perform. I remember a Serie-A player saying he felt Zola had become less effective there as defenders got used to him and his tricks, but he was sure he would do really well in England and score “a lot of wonderful goals”, as he put it. I wasn’t disappointed, of course. I remember the first time I saw him play for Chelsea, on the TV highlights. The second time I saw him touch the ball, he was some way inside the Chelsea half. A ball came at him out of defence, in the air or it was bouncing quite high (for him) and quite fast. Opponents were close and it didn’t seem he’d have time or space to control the difficult ball to make a pass. Somehow, either because of a bit of luck or a totally deliberate ‘sleight of body and feet’, Zola was free and in space with the ball. The commentator sounded as surprised as I was. Once free, Zola immediately played a perfectly weighted 30-yard ball along the ground and just inside the full-back which Le Saux seized on after continuing his run but the opening was lost. I thought “Wow, we got a player here”. 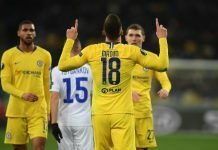 Again, Zola showed fantastic control, the ability to quickly set himself to pass and great awareness or guesswork of where his team-mates were or were likely to run – and he had only known them for about a week. It seemed he didn’t ‘look’ to make passes, except when he intended to deceive. He knew what he was going to do with the ball before he received it and his touch, balance, quick feet, skill and close control enabled him to quickly find space for himself to make things happen. He slipped great passes and played exceptional first-time ones, particularly short ones and was brilliant at keeping the ball, working his way out of tight situations. Everyone knew he made the team ‘tick’, but man-marking him mostly didn’t work as it required a special kind of marker and for them to be dragged around the pitch. Zola missed very few games for Chelsea. His avoidance of injuries was remarkable in itself and a testament to his fitness, alertness and instincts when closely attended by opponents. Also, he was the player most respected by opponents, so that helped him too. In my opinion, Zola never had the perfect striking partner at any time during his Chelsea career. Hughes was the nearest and would have been perfect if he had been quicker – or younger. Flo would have been great if he had been a bit stronger, a bit quicker and better in the air. Casiraghi looked more mobile than Hughes, but was otherwise inferior before his injury. Sutton didn’t fit into a passing team and was the strangest signing. Hasselbaink, a proven goalscorer, is too selfish, moody and complaining for the good of the team and has shortcomings as a footballer, which Zola couldn’t compensate for. In his defence, JFH hasn’t had great service from wingers or midfielders to exploit his strengths. The Hasselbaink-Gudjohnsen partnership two seasons ago was prolific and they made many goals for each other. Not a lot of goals were scored or created by the rest of the team. Hasselbaink missed games through suspension and Zola replaced him, but he wasn’t truly match-sharp from regular starts and he was less familiar with new players and the change of the team’s style of play. Gudjohnsen didn’t complement him, as he was more similar. That season it seemed Chelsea mostly scored by by-passing midfield or by Hasselbaink or Gudjohnsen getting possession and creating goals for themselves or each other. Lampard, Petit, Zenden, Gronkjaer, Le Saux and Stanic all had bad seasons, due to injury or needing games to get familiar. There was no cohesion about the team and there just seemed to be a defensive department and a striking department. Opposing defences found it easier stopping Chelsea, as the threat came almost totally from Hasselbaink and Gudjohnsen – neither especially difficult to mark, except Gudjohnsen when he dropped back or wide. 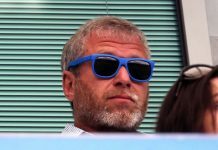 Despite some fine wins and plenty of goals for Jimmy & Eidur, Chelsea finished sixth after spending £32m to get into the Champions League, at least. Compare to last season. 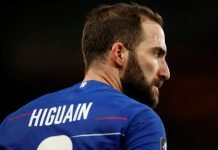 While Zola scored more than in previous seasons, Hasselbaink and Gudjohnsen scored a lot less, yet Chelsea scored more goals and finished two places higher, against most people’s expectation. The improvement cannot be attributed to De Lucas, but an improvement in some individuals and the familiarity, spirit, teamwork and compactness of the same group of players; a crucial contribution by Cole; and the avoidance of a lengthy injury to Le Saux (as Zenden embarrassed). Essentially, during the first months of the season, especially, Zola was in his best form for years. 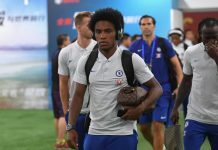 I remember him saying he couldn’t leave Chelsea after losing The Cup Final to Arsenal, especially as a substitute and having such a personally disappointing season, when he was often on the bench. He said he was going to come back fitter, at his best and make it impossible for Ranieri to leave him out. He wanted to end his Chelsea days on a high note, expecting he could only play one more season. He achieved his objective and surprised everybody, including himself – so much so, he thought he could play another season. It seemed Ranieri was both delighted and frustrated with Zola. Delighted with his crucial unexpected early season form and goals, when his preferred strikers were recovering from injury or off-form. Then frustrated later when Gudjohnsen was ‘fit’ but Ranieri couldn’t play him because of Zola’s form. Hasselbaink was affected by his late pre-season “Barca, come and get me” failure and Gudjohnsen got seriously depressed on the bench. Jimmy & Eidur were re-united when Franco got a knock or was rested, but the team struggled or were not convincing when they played together, as they both were off-form. There were signs in the New Year that their form might be returning and Ranieri gambled, I felt, by off-loaning Forssell once he was fit to play in the reserves. 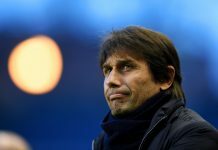 Zola had showed signs of possibly tiring and Cole was sometimes out of his depth. 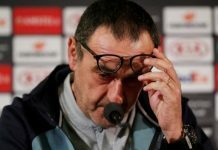 Neither Hasselbaink or Gudjohnsen returned to their form of the previous season and so Chelsea had to ‘essentially’ qualify for the Champions League the difficult and tense way, with still another hurdle ahead. It may have been a surprise that Jimmy & Eidur started against Liverpool with Franco on the bench, but I believe Ranieri was shrewd with that decision. 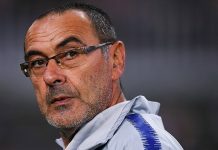 He put Zola on in the second half to “play his football”, which he did splendidly and he somewhat demoralised and frustrated Liverpool – Gerrard, in particular. 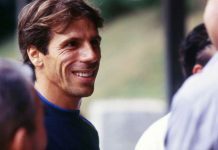 Zola – Chelsea’s greatest ever and world-class? I haven’t witnessed all Chelsea’s players since 1905 – only 1970 – but of all the ones I’ve seen, I believe he has been the most important. I believe Zola was world class. He filled the boots of Maradona well enough for Napoli not to buy a replacement, in a league that, at the time, had more than it’s share of the world’s top players. He made a significant number of appearances for Italy, one of the worlds leading football nations. Most unusually, he made an immediate stunning impact on arriving in England and playing in the most intensive and demanding league in the world. 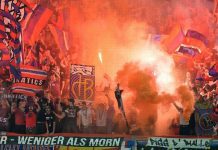 Also in a team that already included French, Romanian, Dutch and Norwegian players, as well as English, Welsh, Scottish and a couple of Italians. All despite only knowing very little English, but he was fluent in the international language of football. He won the football writers ‘best player’ award at the first attempt, despite arriving in late November, through the instant outstanding quality and effect of his performances. Zola could have quickly adapted anywhere. He set standards and was respected and appreciated by all involved in the game it seemed, including all fans of football and I expect he won football some new fans too. He was the best example for youngsters and young players to follow, on and off the field and was an inspiration. I knew he could play before he came to Chelsea but I had little idea about the character of the man and I feel all Chelsea fans should be proud they had Zola, especially for so long, even though he was considered past his peak when he arrived, aged 30. Next articleARE WE SAINTS OR SINNERS?